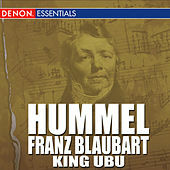 Hummel was a highly decorated Austrian who wrote at the turn of the nineteenth century. His teachers and friends demonstrate just how "in" he was with the music of his day: he studied with Clementi and Haydn, was a friend of Beethoven, and lived with Mozart for two years. 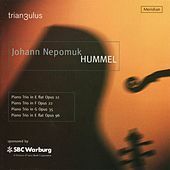 The generation directly after his (including both Schumanns, Chopin, and Mendelhssohn) couldn't say enough about him, and they absorbed much of his compositional style and technique. Today, however, history has labeled him "mediocre" with little reason.